They slick up very nicely. Just as good as any Smith. I have the ancient 6 shot version. During the shortage I shot a lot of ancient .22 CB and BB caps through it. I believe it has run flawlessly, except for a couple of Thunderbolt rounds. Hogue grips to match my Security Six 4″ Heavy Barrel. Who fails to log book all the rounds through his gun, it’s a personal fault. Oh yeah man. Saw you post that photo on your Twitter feed. Great looking gun. To expand on what I said there I’ve never really been a huge wheel gun kind of critter. 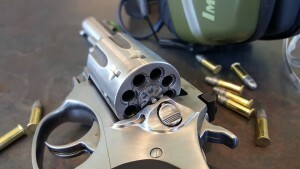 So generally a revolver needs to be something special for at least different for me to take liking to it. Which is why the only two revolvers I’ve owned was an old M1895 Nagant revolver and this odd ball modified snub nosed DAO Enfeild I snagged on a random GB auction. Kinda miss that one just because of how neat it was with the custom modified grip. Made it pretty easy to drop into a pocket and carry. I’ve got the 4.2″ versions of both the .357 Mag and the .22LR. I love them both. 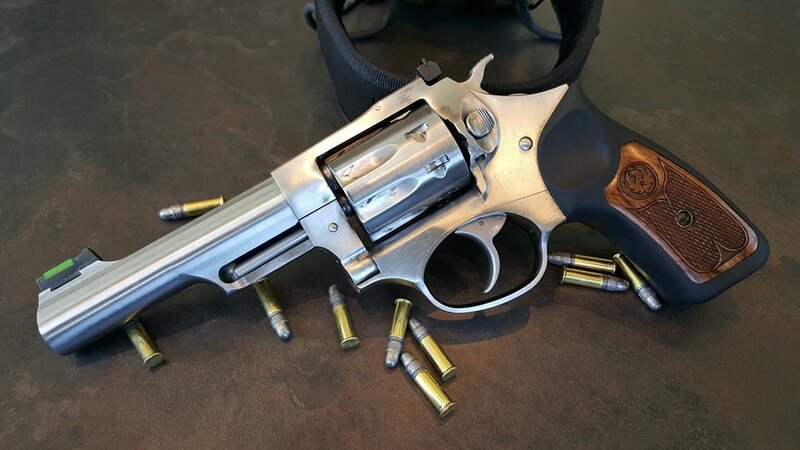 I’m not really a wheelgun guy, but I couldn’t get over how nice the SP101 is with function, fit, and finish. And it’s nice to know that I picked a .357 capable of handling the 180gr. 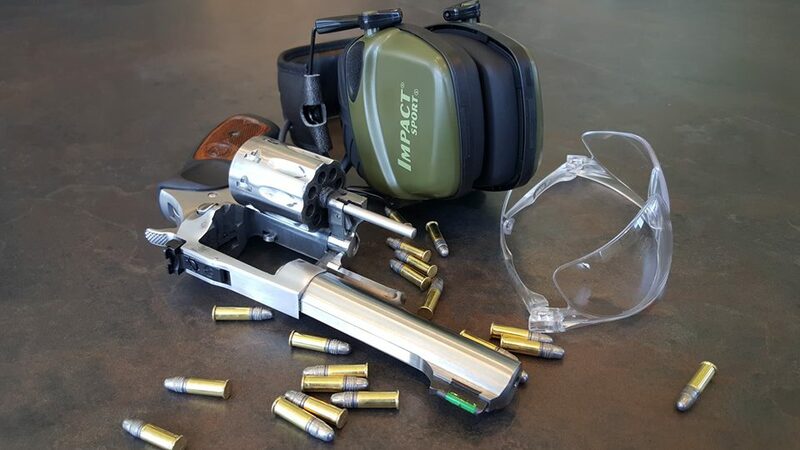 Buffalo Bore rounds safely and effectively. I really like the sp101, but I have a hard time justifying upwards of almost $700 for a .22 revolver. Drop that down to $450 or $500 and my interest gets serious. Retail price in my area runs between $550 – $599 for these guns at various dealers. 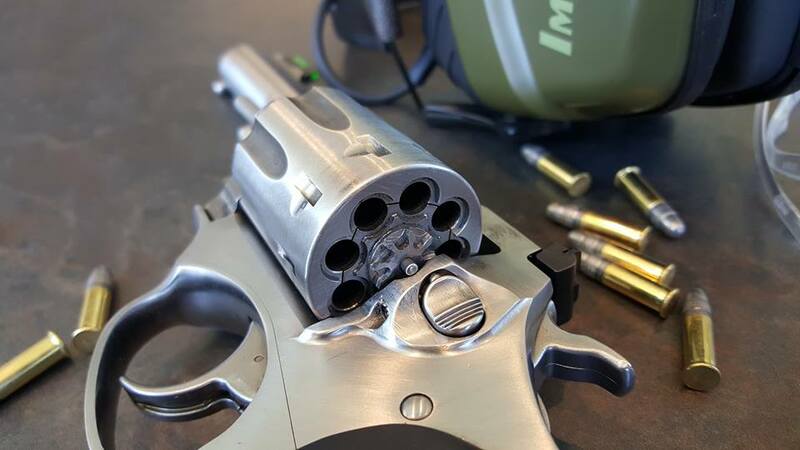 I luvs a .22 revolver. (Sigh) now if only .22 wasn’t made in unobtainium . . . . . my Ruger Standard 4″ is pretty sweet, too, with a Clark ‘steel’ trigger . . . .wish I’d bought a couple cases when it was 20 bucks a brick.